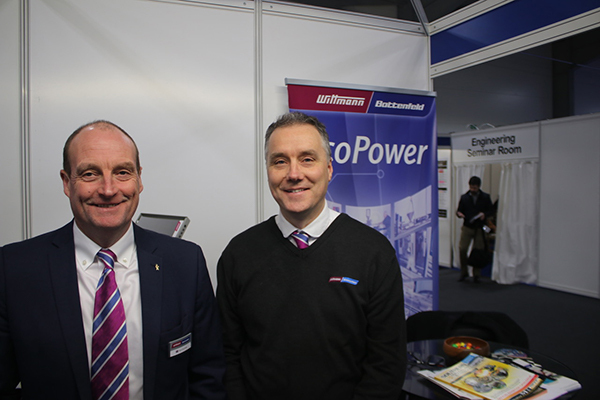 The Wittmann Battenfeld UK team brought the connected factory message to this year’s Southern Manufacturing show, Feb 6-8, Farnborough. A brisk order of business brought customers old and new to the WIBA UK exhibition booth. WIBA UK is holding two special 4.0 unravelled days at its Wellingborough HQ on April 24-25. MD Barry Hill, Sales Manager Paul Dummer and Service Manager Adrian Walters all brought varied perspectives to the booth conversations on Industry 4.0 principles and how these related to MES systems in the industry, also SAP and other customer facing software and systems. The April workshops will aim to dispell some popular myths around 4.0 and also show how to optimise the technology on the plastics processing shop floor. For ease of booking and scheduling, two identical daily sessions will be offered at WIBA UK HQ in Wellingborough – Tuesday April 24 and Wednesday April 25. There will be ample scope to work with the injection moulding technology as well as all of Wittmann’s technology in automation, materials handling, drying and temperature control. WIBA UK customers here have been able to source materials, handling, drying and temperature control units in the knowledge that all of these plastics processing units will seamlessly interact together via the B8 control and interface supplied with today’s Wittmann Battenfeld injection moulding machines.